School is open in BESD#53. Roads in town are clear, temps above freezing. Be careful on driveways and walks as patches of ice remain in some places. A reminder that Friday is a half day, schedule A dismissal. This is a change from the original calendar. Also, there is no school next Monday for Presidents' Day. 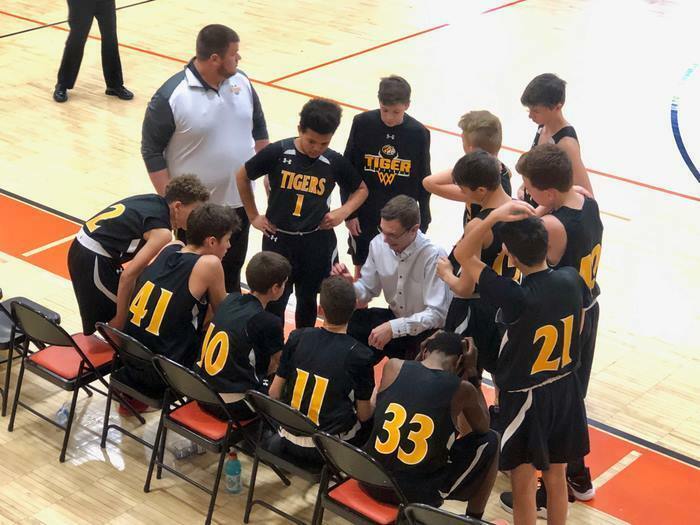 BUGC 8th Grade Boys' Basketball competes at state on Saturday! Hi, the Bourbonnais Public Library will be closing at 5:00 pm today and will be closed all day on Wednesday January 30th. Stay warm and safe! BESD#53 will have school Tuesday, normal schedule. It will be very cold, but the dangerous windchills set in after 6pm. 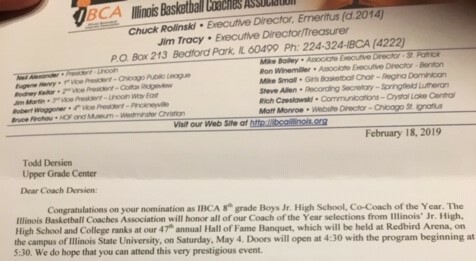 We will not have any after school events except for the 8th grade regional basketball game in Kankakee. As a reminder we will be closed Wednesday and Thursday. Due to inclement weather and unsafe conditions BESD#53 will be closed today (Monday), Wednesday, and Thursday of this week. We are still evaluating the storm and potential snowfall overnight. A decision on school will be made by 5:30am dependent on snow and road conditions. There will be no zero hour at BUGC tomorrow. ALL BESD#53 after-school activities are cancelled. This includes games, practices, teacher meetings, and the Camp T chaperone meeting. Camp T meeting will be rescheduled to 6pm Thursday. BESD#53 will have normal dismissal times today. 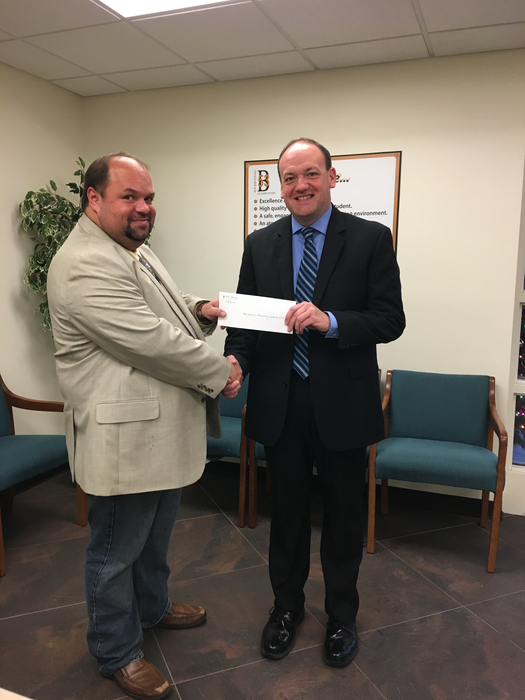 We appreciate People’s Church for their generous donation to the students of Bourbonnais. 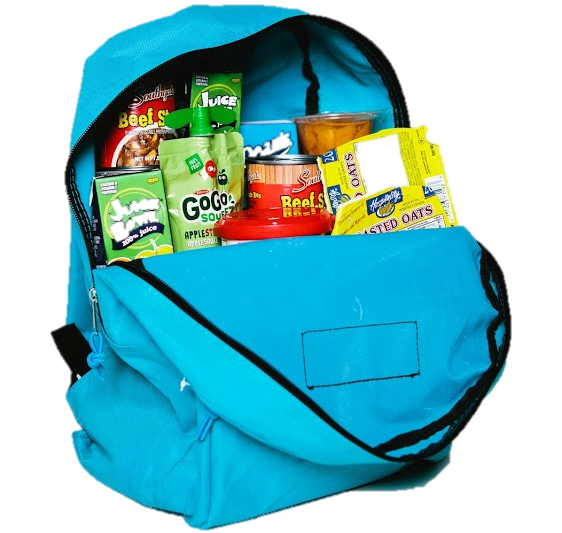 Funds will be used for coats, gloves, and backpack meals for those in need. 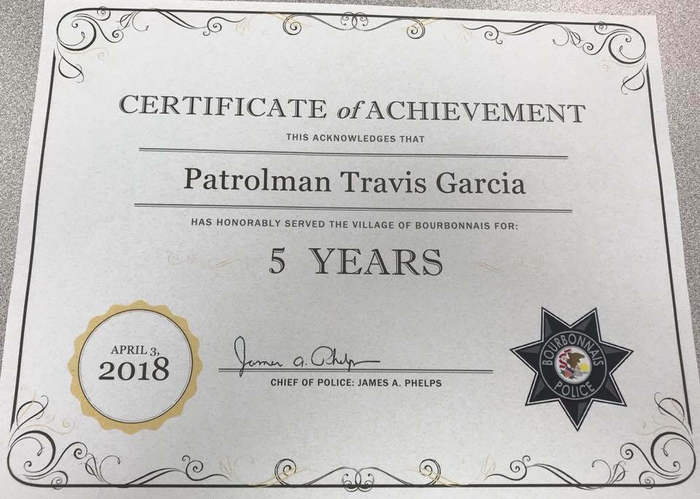 We appreciate their commitment to the community! Comm Ed is working on a cut wire behind Central Office. There are several service trucks in the parking lot. BUGC student pickup will be slower due to vehicles in the lot. Please be patient and cautious. November 15th is School Board Members Day in Illinois. 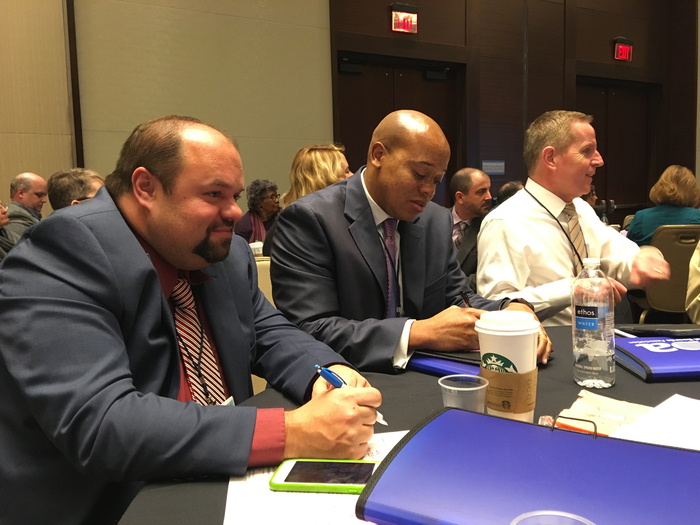 We want to thank our school board for their voluntary service to the district! President Rob Rodewald, Vice Pres. John Hall, Secretary Jayne Raef, and members Rich McBarnes, Nicole McCarty, Mike Jurka, and Jamie Freedlund! LATE BUSES! Due to an earlier auto accident on the Dan Ryan, bus #2, 4, 6, 8, 9, and 11 will be late returning from a field trip. We expect those buses to leave BUGC/Liberty at approximately 3:10pm and Shepard/Shabbona/LeVasseur at 4pm. Expect students on those buses to arrive home 20-30 minutes later than normal. This is a reminder that tomorrow is a scheduled early dismissal day. We will be following the Schedule B dismissal times. 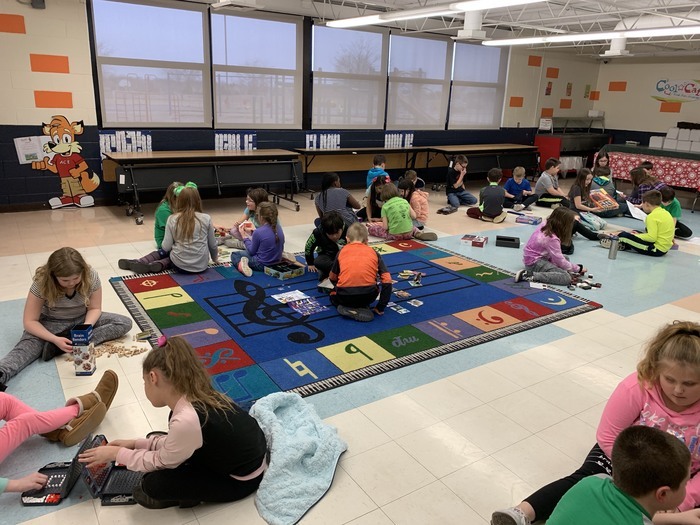 Upper Grade and Liberty will dismiss at 1:15 p.m.. Shepard, Shabbona, and LeVasseur will dismiss at 2:00 p.m.. 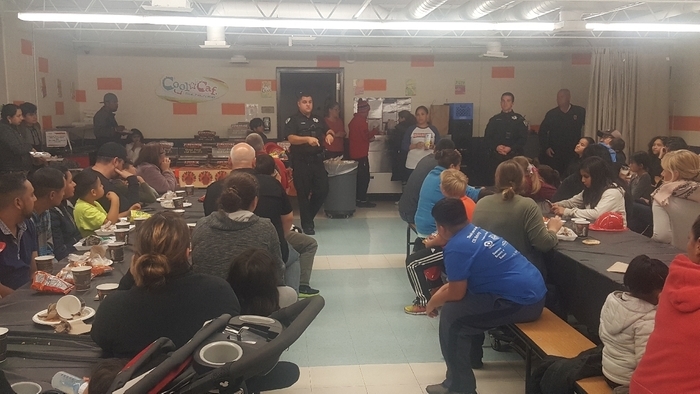 Thanks to the Bourbonnais Police and Fire Departments for supporting our English as a Second Language (ESL) First Responder Family Night. It was a great success. Skyward Family Access and Online Registration are back up and available now. Thank you for your patience! 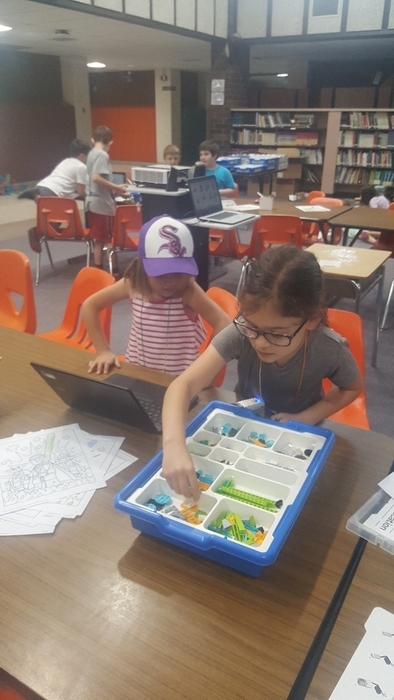 On Wednesday, July 11th, Skyward Family Access and Online Registration will NOT be available due to a database upgrade. Everything should be back up Wednesday evening. Thank you! 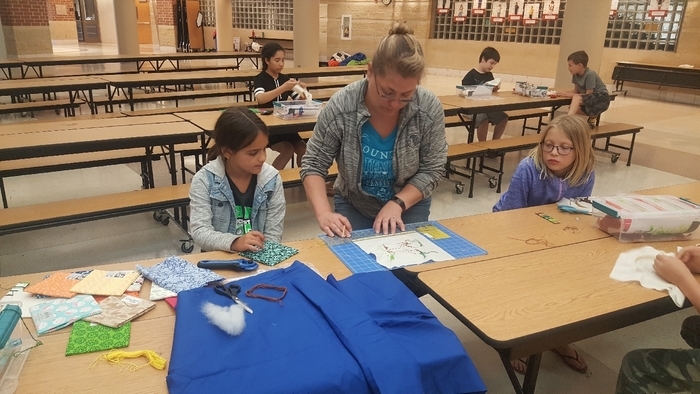 Thanks to Mrs. Leddy for all the hard work in creating a great Hand Sewing Camp! 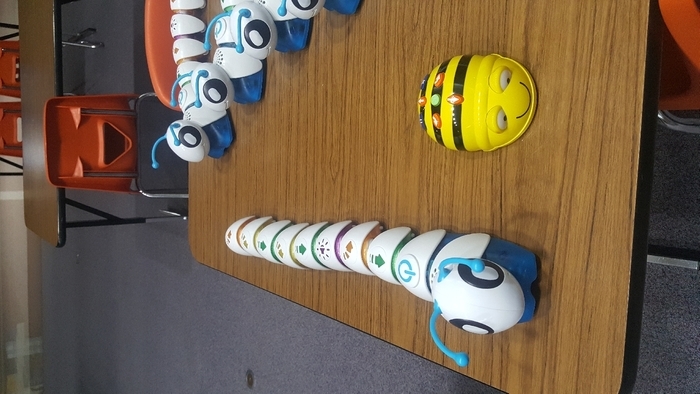 The Code A Pillars and Bee Bots are all ready for K-4 Coding next week! 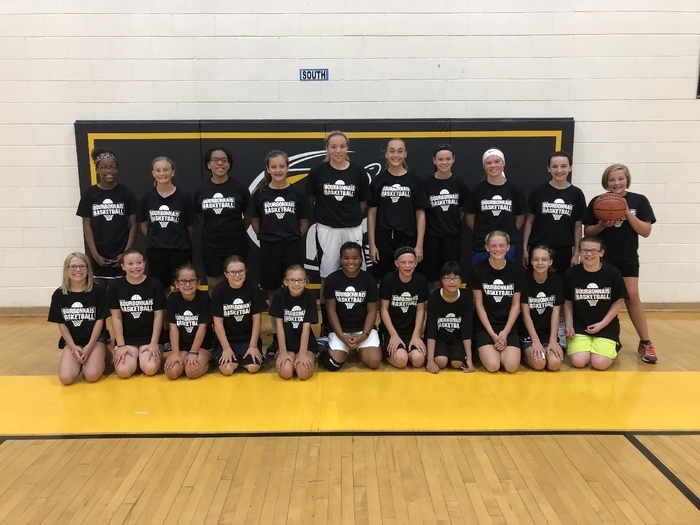 Thanks to Ms. Gamble for a successful Girls B-ball Skills Camp! Hi. 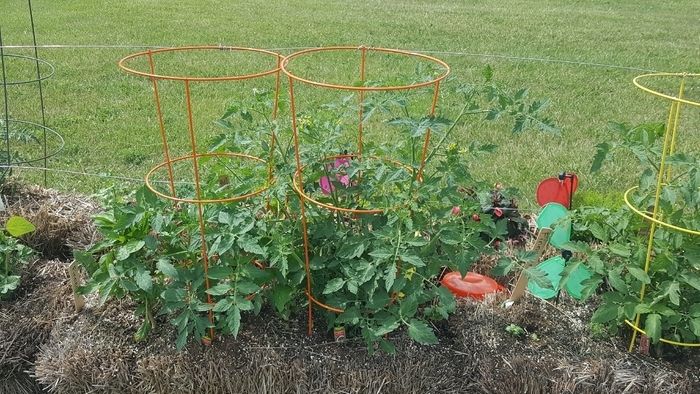 The Community Garden is doing great! It will be hot this weekend so do not forget to water. 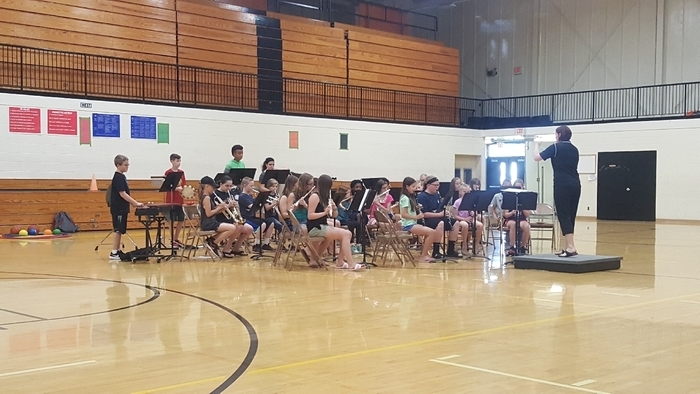 Retirement Reception for Mr.Hodge, Tuesday, 5/29 4pm at Shabbona! Public is invited! Congratulations to 300 BUGC Alumni graduating tonight as part of BBCHS Class of 2018! 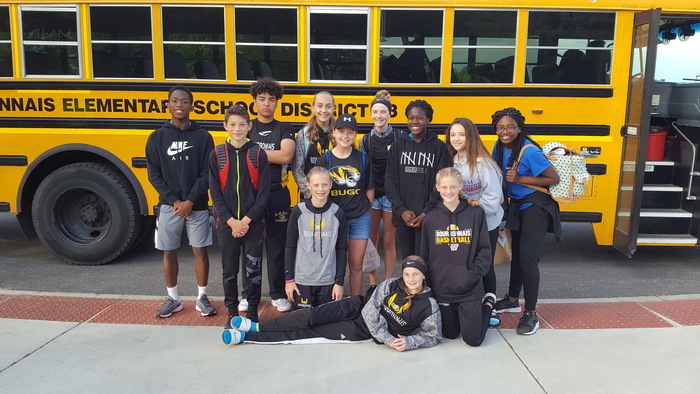 Good Luck to our IESA State qualifiers in the Track meet today and Saturday! 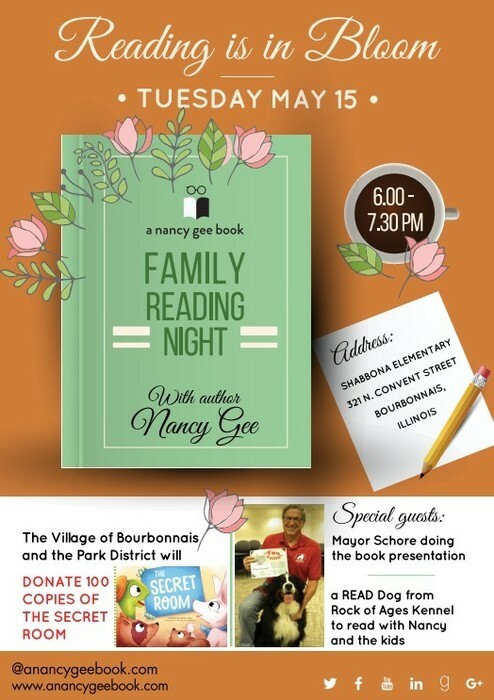 Listen to Author Nancy Gee at 3:30pm Tuesday on WVLI 92.7 and WIVR 101.7 then come out to Shabbona at 6pm for Reading is in Bloom! 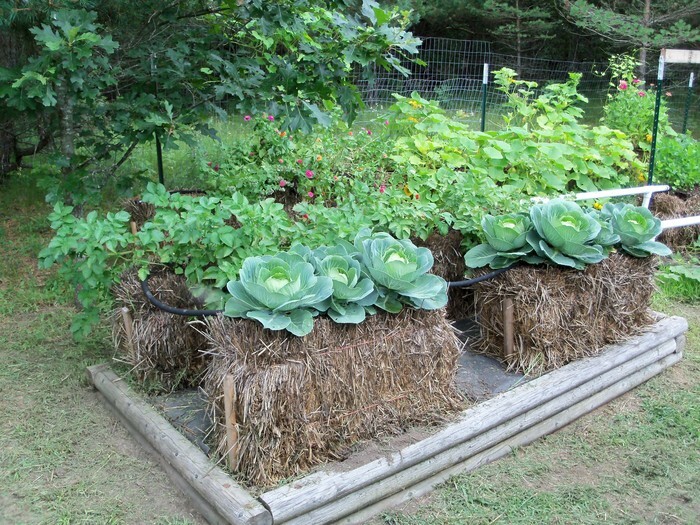 STRAW BALE GARDENING! 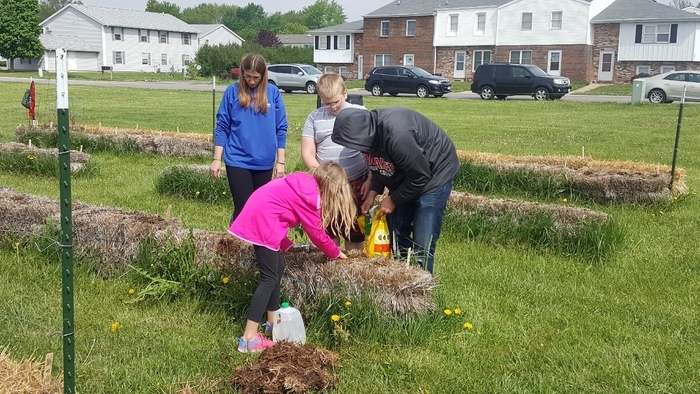 Saturday 5/12 9am-12pm join BESD#53 and the Bourbonnais Library at our community garden for planting day! $5 a bale, plants will be available as well! 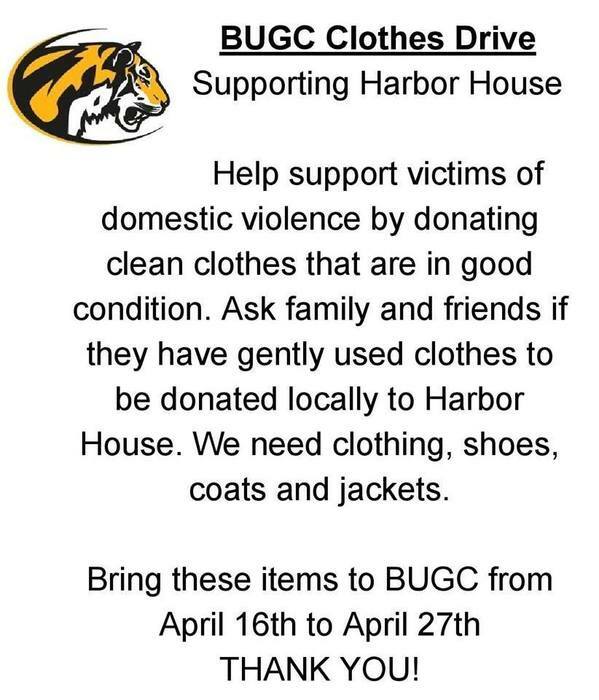 Just a reminder that flower pick up is TOMORROW morning from 9-11am at BUGC. Rain or Shine you MUST come and pick up your orders. This includes gift cards as well! 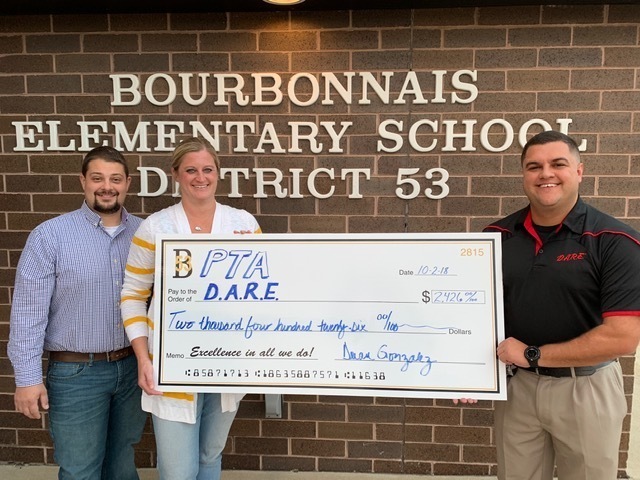 Thank you for supporting the Bourbonnais PTA!! LAST CHANCE! Sign ups for Junior Boilermakers Football and Cheer are Thursday May 17th at the Bourbonnais library from 6-8pm! The Illinois FFA Service Project this year is called "The Crayon Initiative." 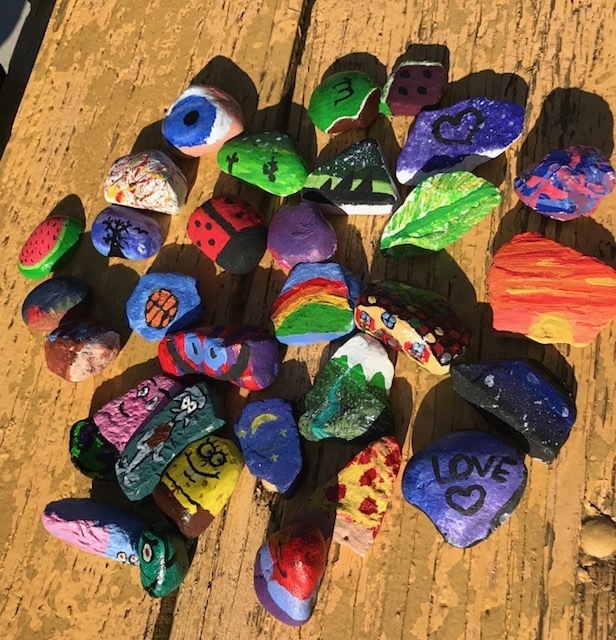 This project takes donations in the form of used crayons, recycles them, and makes new crayons to be distributed to children's hospitals across the nation. 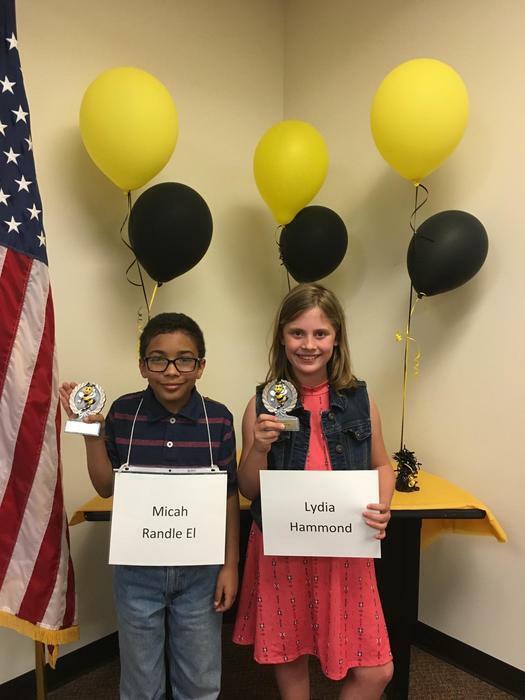 Their goal this year is to collect 2,000 pounds of crayons. Bourbonnais Elementary would like to help the Manteno FFA organization to reach this goal. Starting on Monday, May 14th, collection bins will be placed in the front offices of our buildings including the central office. 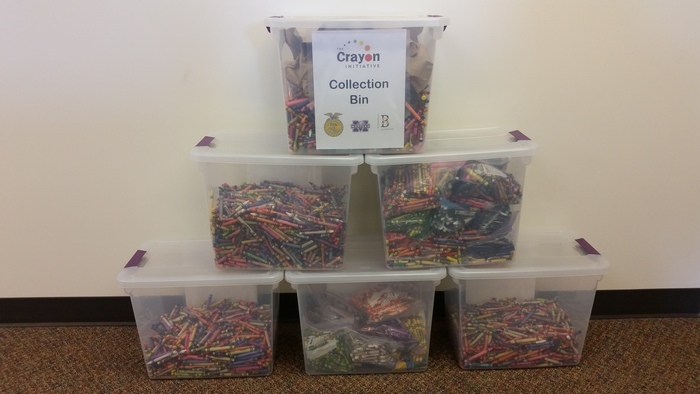 We want to encourage teachers, students and parents to donate used crayons to this cause. Often times crayons are thrown out when kids are cleaning their desks. Parents and community members are encouraged to drop them off at the Central Office. 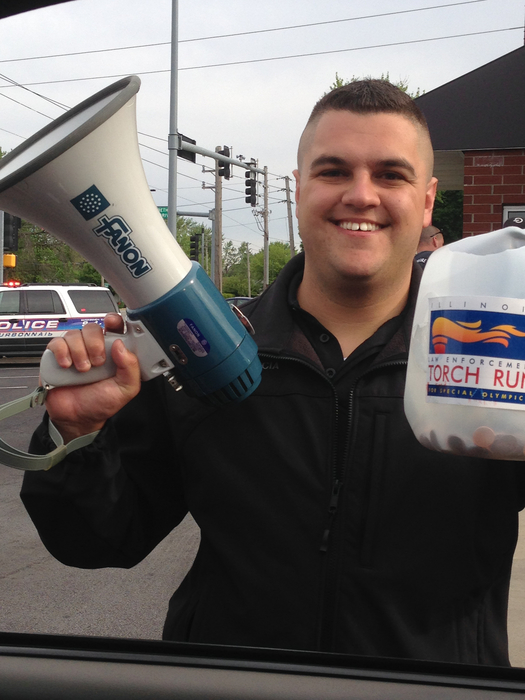 The initiative will continue through Thursday, May 31st. Thanks! 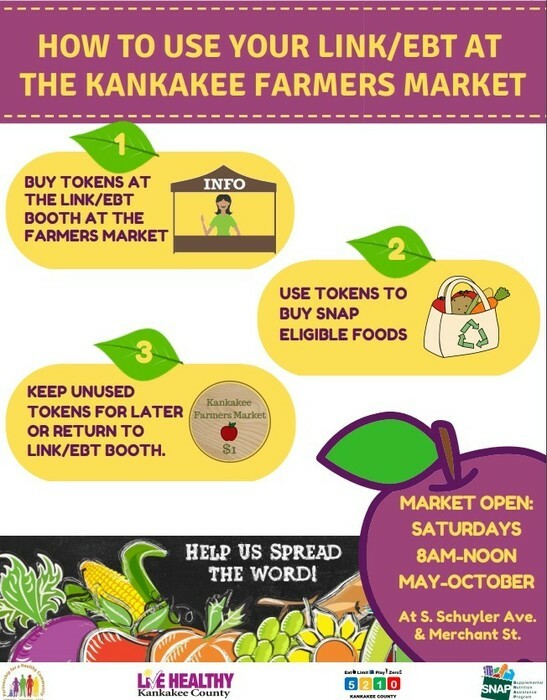 SNAP available at Kankakee Farmer's Market! 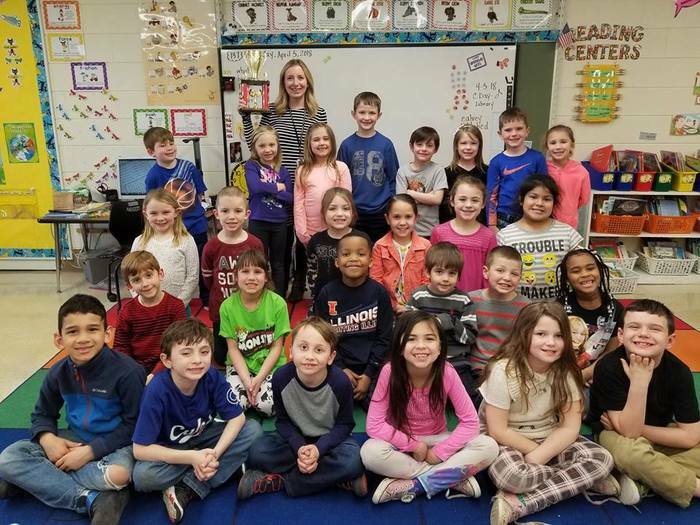 Say thanks to a teacher this week! 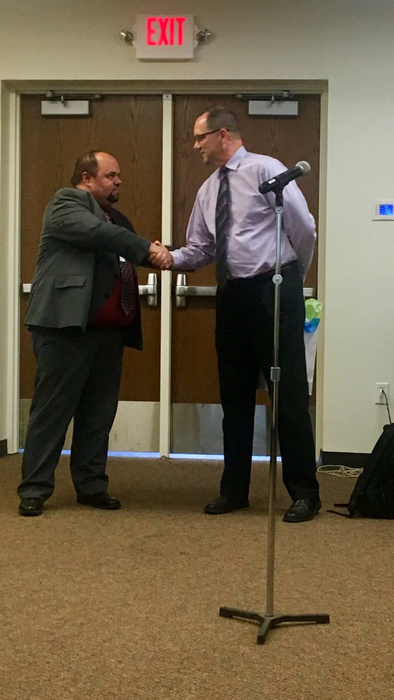 Last night at BBCHS Senior Awards Night, Dr. Hollowell had the privilege of presenting the Todd Hildebrand Memorial Scholarship to former BESD#53 student Brandon Wray! 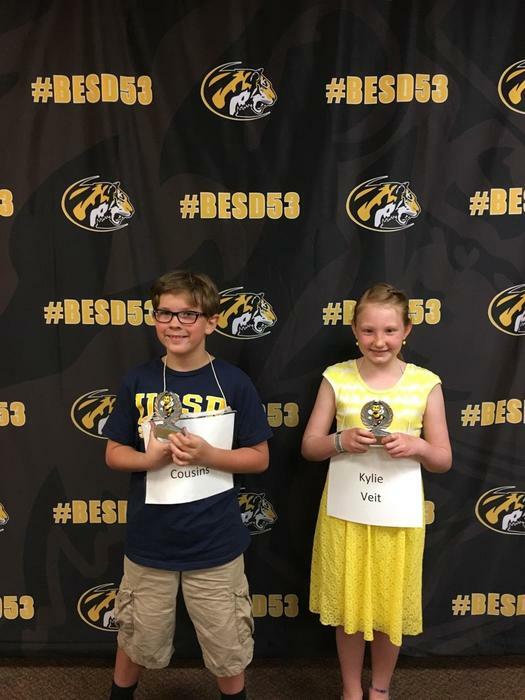 LeVasseur 4th Grade Math Team finishes 6th place in State ICTM Competition. Reminder PTA Flower Sales are due Friday, April 27th! No Orders will be accepted after Friday! 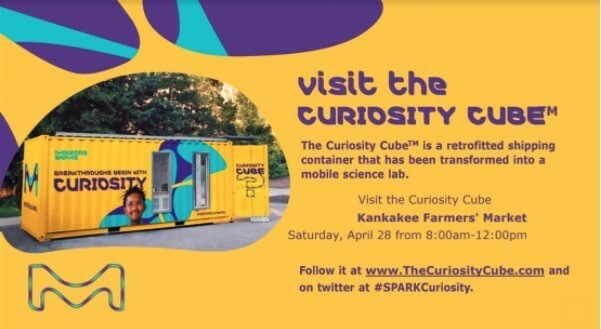 Visit the Curiosity Cube this Saturday! Liberty, LeVasseur, and BUGC are back to normal operations. Law enforcement has resolved the issue in the area. Schools were not at risk, simply putting student safety first at all times. There is no direct threat to BESD#53 schools, the building restrictions are a precaution due to a law enforcement investigation in the area. Liberty, BUGC, and LeVasseur are currently on building restrictions (what we used to call soft lockdown). Instruction continues but no children outside, and no visitors admitted into the building. BUGC Art Class learning face proportions selfie-style! 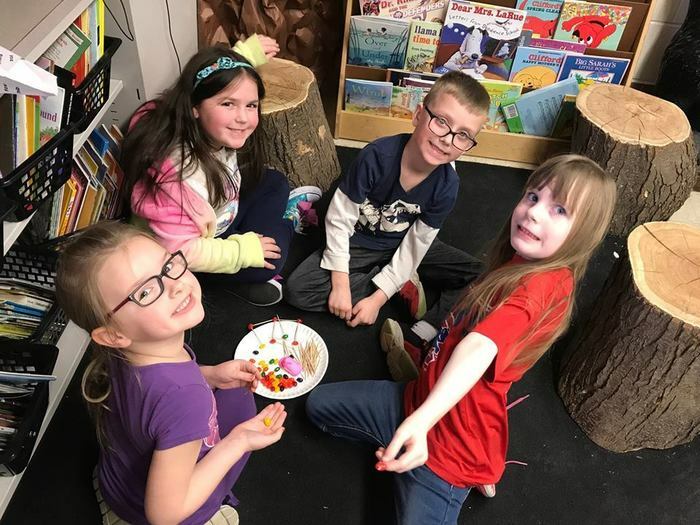 Mrs. Nims’ and Mrs. Sykes' Class at Shepard created houses for their Peeps using jelly beans and toothpicks. 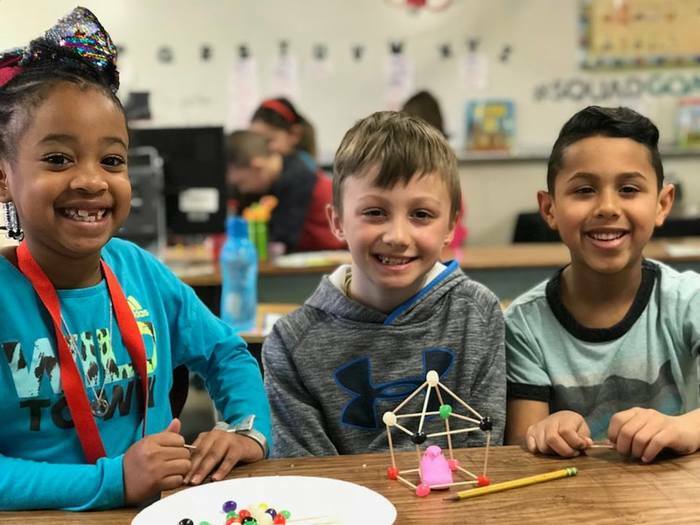 We ❤️ STEM learning!!! 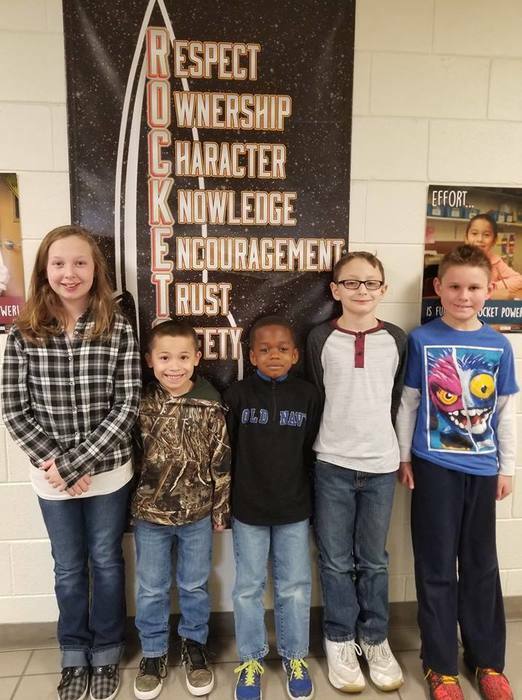 Shepard's 3rd quarter perfect attendance bike winners and Mrs. Michals' class for having the best overall attendance for 3rd quarter. 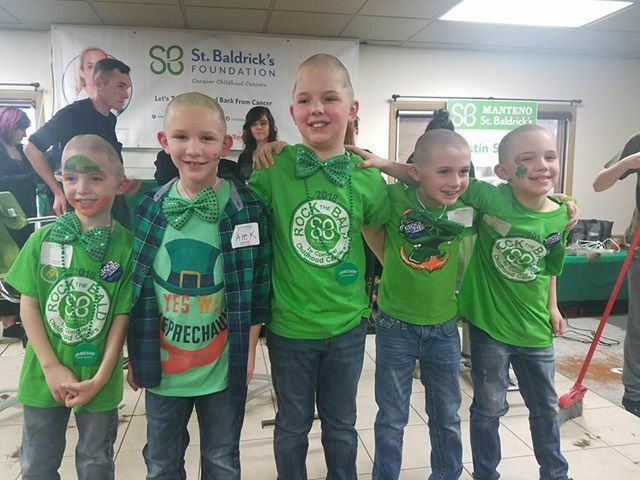 Alek, Max, Sam, Oliver & Aiden participated in St. Baldricks on the 17th and shaved their heads to support childhood cancer raising over $1000! 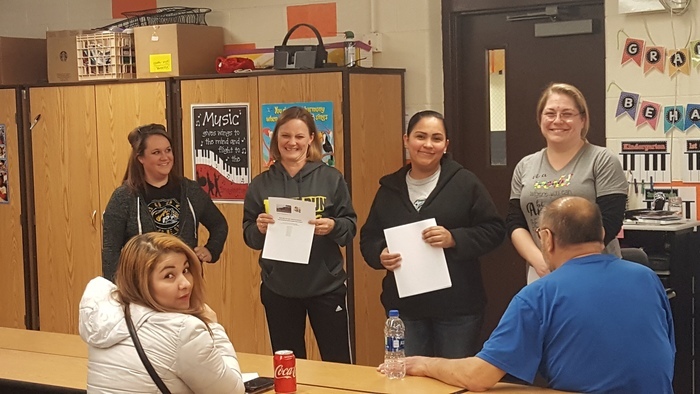 Thanks to all the families that came out for our English as a Second Language Family Night last Friday at Shabbona. 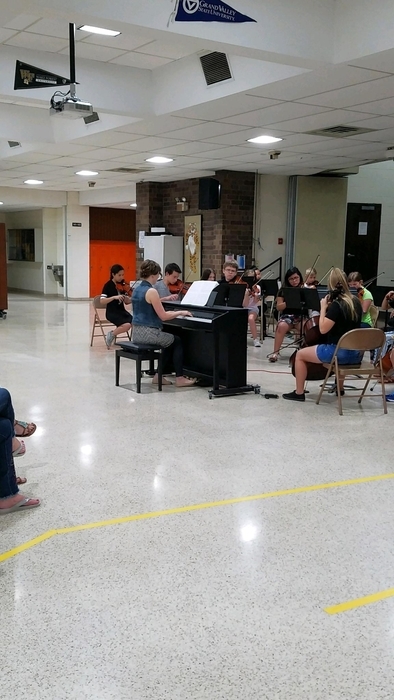 We had over 60 people in attendance. Registro para estudiantes nuevos BESD53 Oficina Principal, 281 W John Casey Rd 15 de mayo 18 de junio (traductor al español disponible) 25 de julio Por favor, traiga prueba de residencia y certificado de nacimiento original. Gracias! How does a dream become reality? Follow us on twitter @besd53 or download our APP (on our website) for push messages of school closings and important updates. BESD#53 is in session tomorrow, Monday, Presidents’ Day as the make-up for 1/8 snow day. Reminder that Monday Feb 19th is a regular attendance day but there is no Grade 2-4 After School Program. 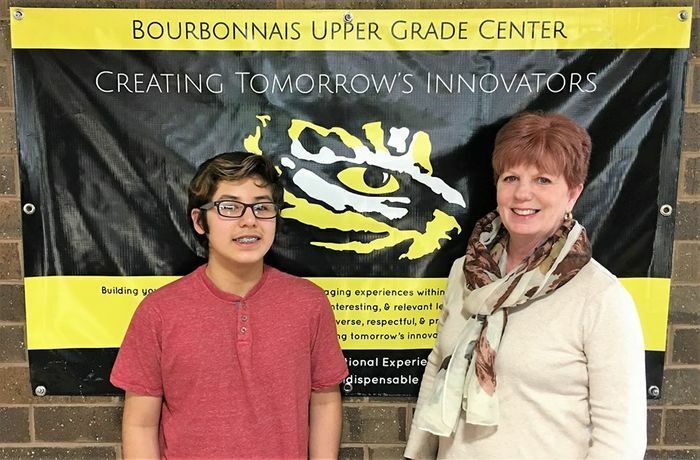 Due to poor visibility, all Bourbonnais Elementary School District after-school sports, practices, activities, and R.T.I. are cancelled for today, Thursday, February 15th. 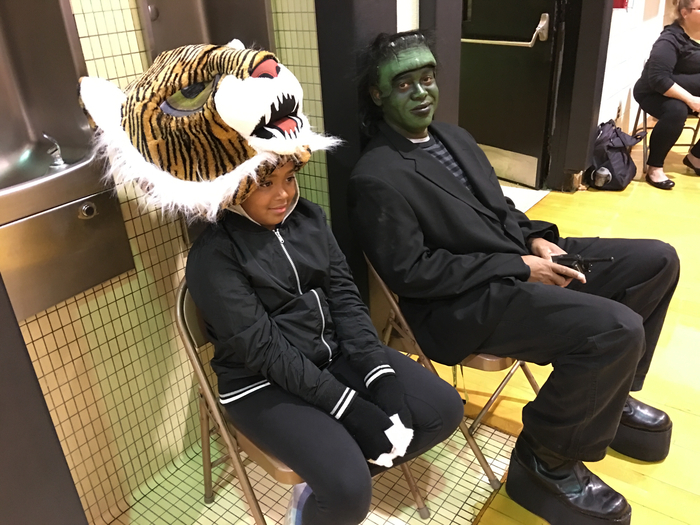 Reminder that Friday is a Schedule A dismissal for parent conferences, and that Monday is a full day of school (1/8 makeup day). Due to the uncertainty of this major storm, Bourbonnais Schools will be closed Friday. BESD#53 is monitoring the coming winter storm. Models show us receiving from 1 to 14 inches. Due to this uncertainty, a decision on school for Friday will most likely be made at 5:30am tomorrow. There will be no zero hour at BUGC tomorrow due to the timing of the snow. As of now, school is open. Looks like snow all week, but probably in small enough amounts to keep school open each day. Will keep you updated! 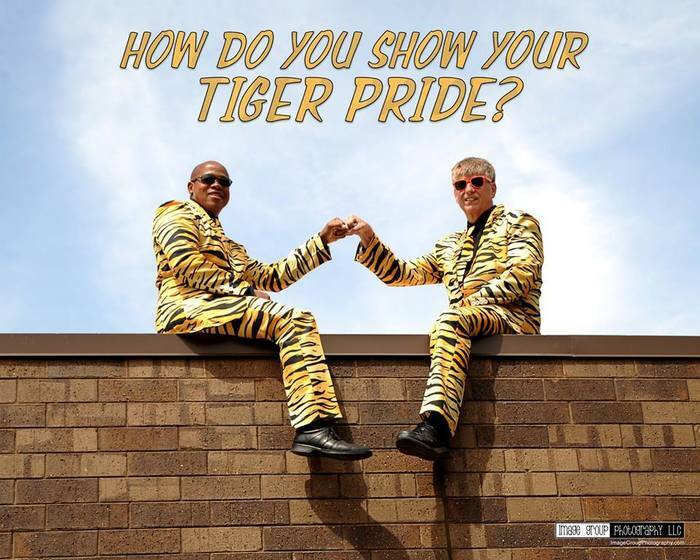 BUGC TIGER PRIDE!! 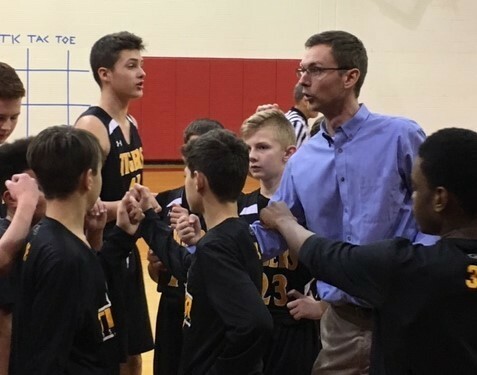 Tigers vs Bradley Central Basketball Regional Semi-Final on Tuesday, January 30th at 5:45pm at BC. Mr. Kohl and Mrs. Tingley what have you got??? Show us your Knight's Pride! 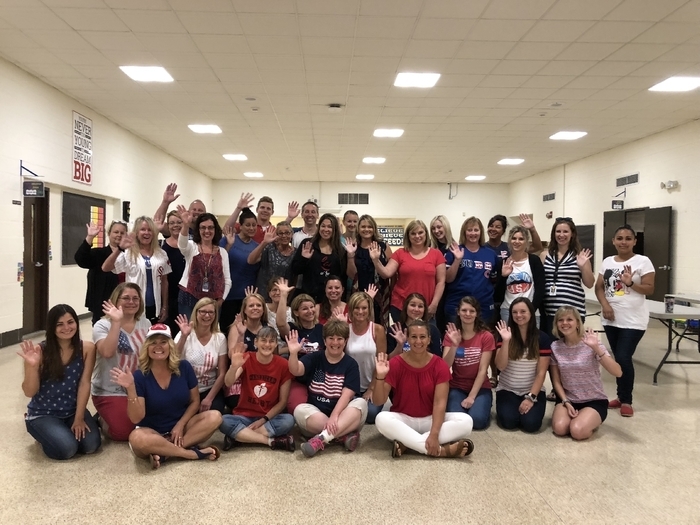 Shout out to #besd53 Bus Drivers! Everyone to school safely, to Camp T in Indiana, back from camp in time for normal dismissal routes! BESD53 will open at normal times today. Buses may be slightly delayed due to black ice. Please use caution when on the roads today. Schedule B Early Dismissal today, end of the first semester. 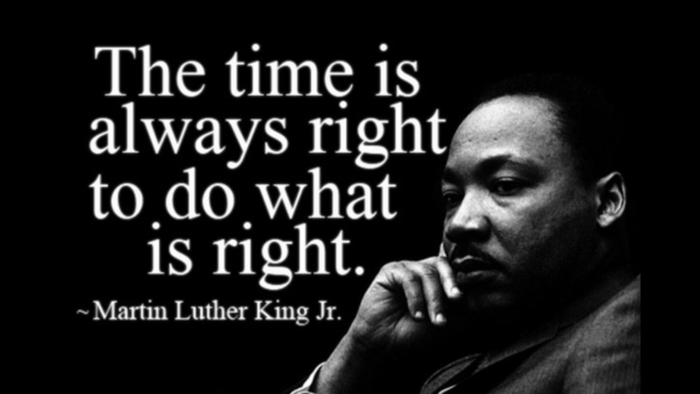 BESD#53 will make up today by holding school on Presidents' Day, February 19th. In the interest of student and staff safety in these icey conditions, BESD#53 Schools will be closed on Monday, 1/8/18. BESD#53 opens for school tomorrow, Monday, January 8th. 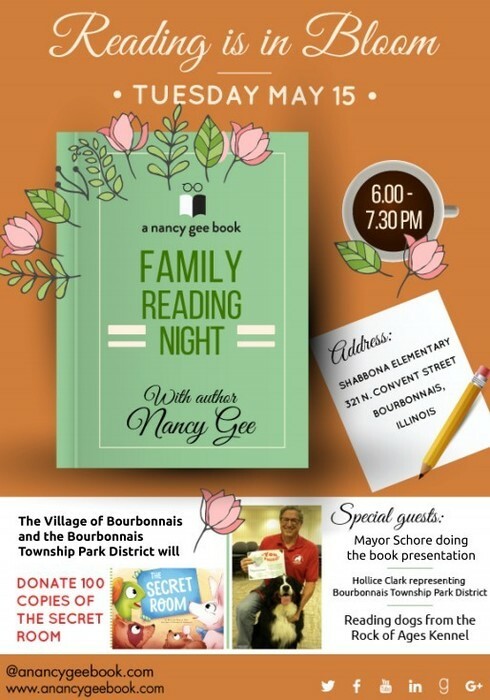 Hi, please join us for the official kickoff of the Dolly Parton Imagination Library Program on Thursday Jan. 11 from 5:30 pm to 7:00 pm at the Bourbonnais Municipal Center Community Room. 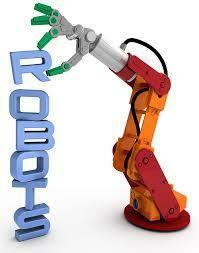 The automated phone calls home when your child is marked absent malfunctioned Tuesday. Many of you received calls in error. This has been disabled for the remainder of the week for tech updates. 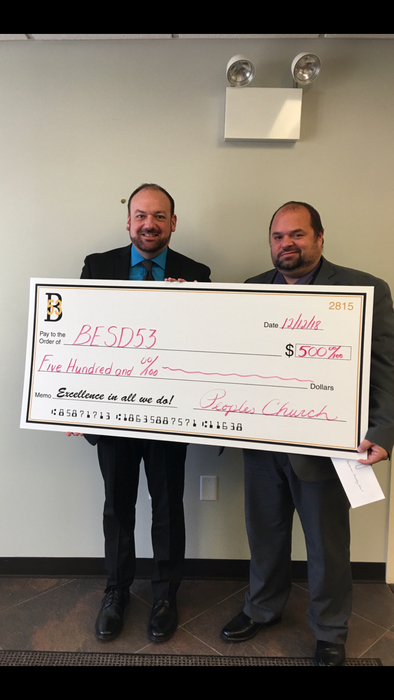 Peoples Church represented by Justin Caldwell donated $250 to BESD#53 to help outfit needy students with coats, gloves, and winter hats. 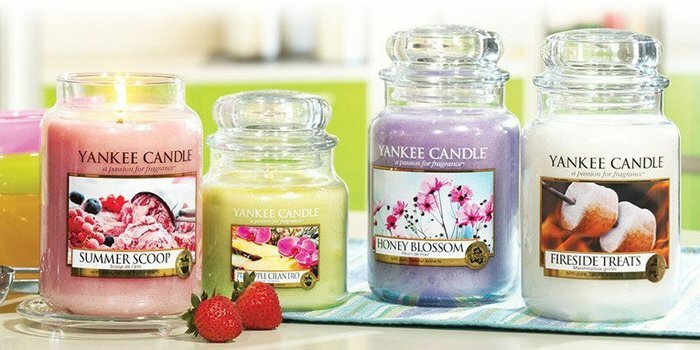 PTA Yankee Candle pick up Thursday and Friday (12/14&15) from 4-7pm at Shabbona School! 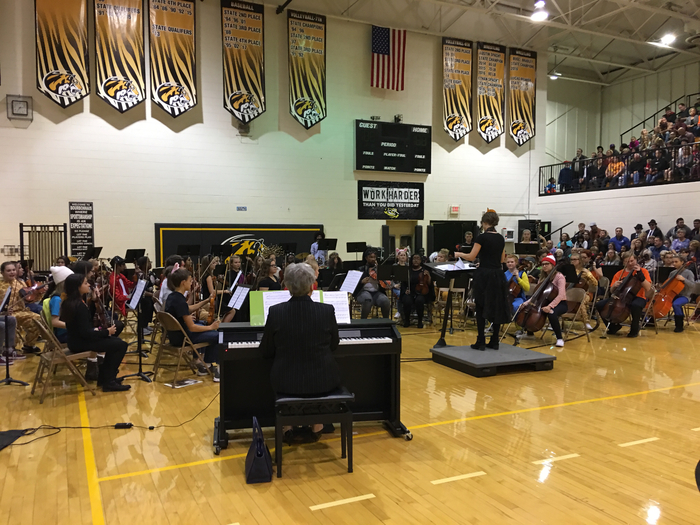 Come out to the BUGC Winter Concert tonight at 7pm to hear the Orchestra, Band, and Choir! Update on COLD days. Cold days will be called by 9pm the night before if the weather.com forecast is for windchills of -30 or below. As we head into winter, a reminder about snow days. Snow days will be called usually by 5:30am and sent out on our APP, Facebook, Website, phone call, and twitter @besd53. Starting at 11:30 a.m. Wednesday December 6th, network and phone services at BUGC will be unavailable due to a network upgrade. Service should be returned by Wednesday evening. Starting at 5 p.m. Tuesday November 21st, network and phone services at Shabbona and Shepard will be unavailable due to a network upgrade. Service should be returned by Wednesday afternoon. 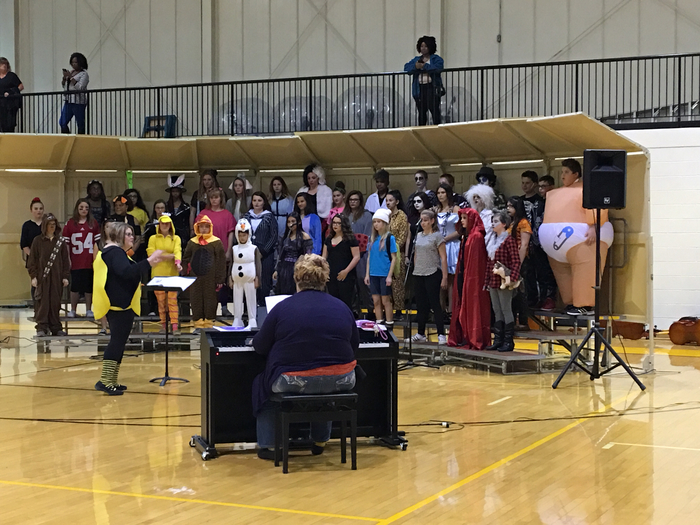 Reminder: Bourbonnais Elementary #53 will be in session on Friday, November 10th. BBCHS is not in session this day. 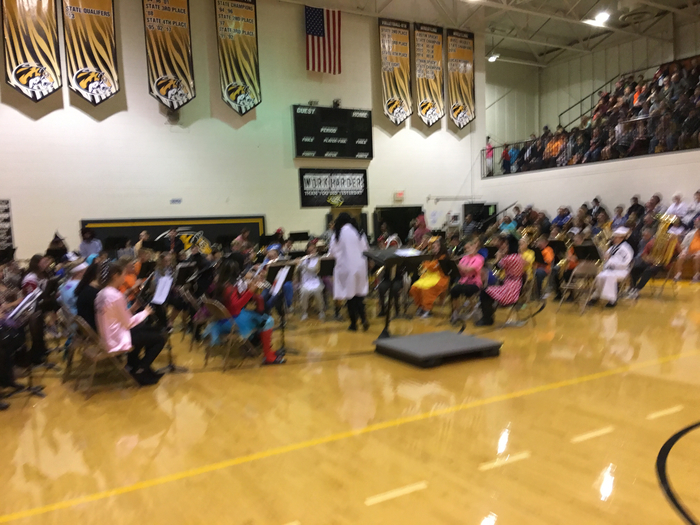 The BUGC band, choir, and orchestra hosted a Fright Night Concert which included music, costumes, and trick or treating! 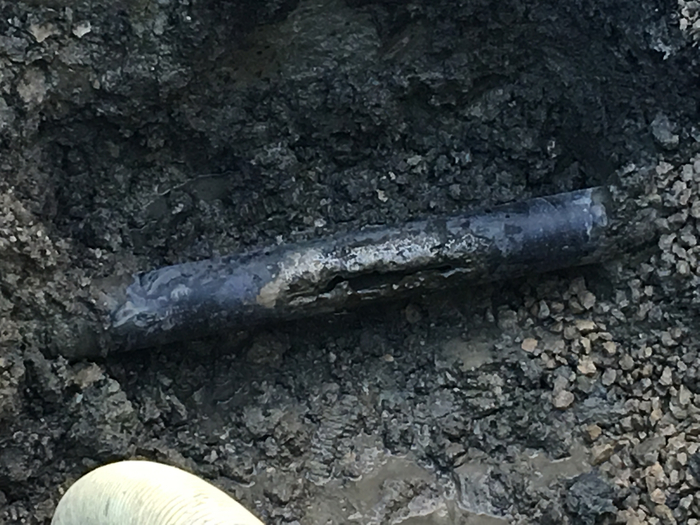 The water main break at Shepard has been repaired! 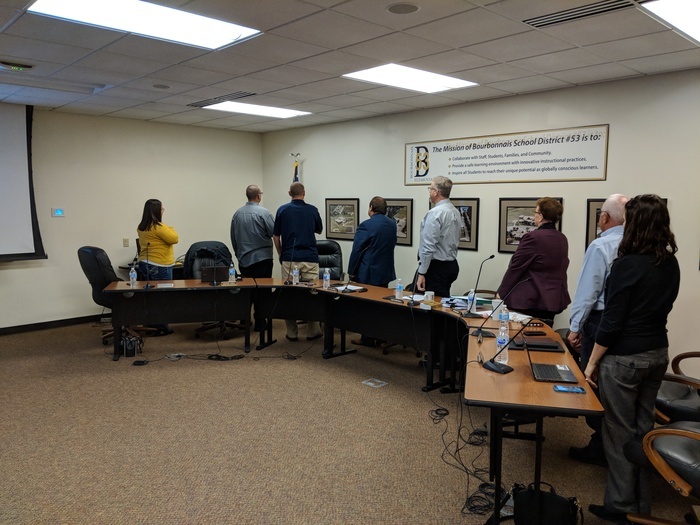 Water was restored at 9 a.m.
BESD53 School Board members reciting the Pledge of Allegiance at tonight's board meeting. UPDATE: water break isolated to Shepard. 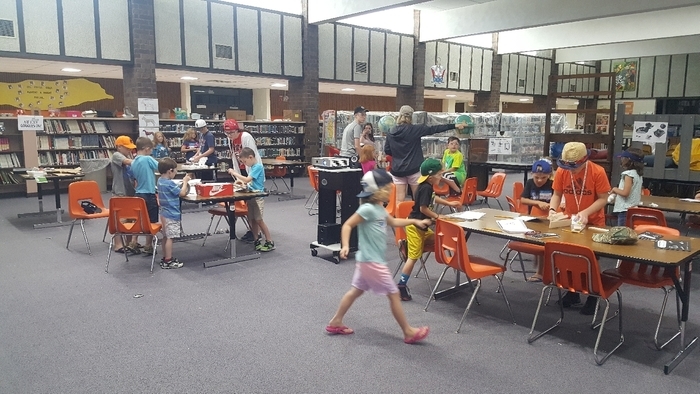 Shepard/Shabbona RTI, Cheerleading, Y kids and Park District will all take place today at Shabbona! 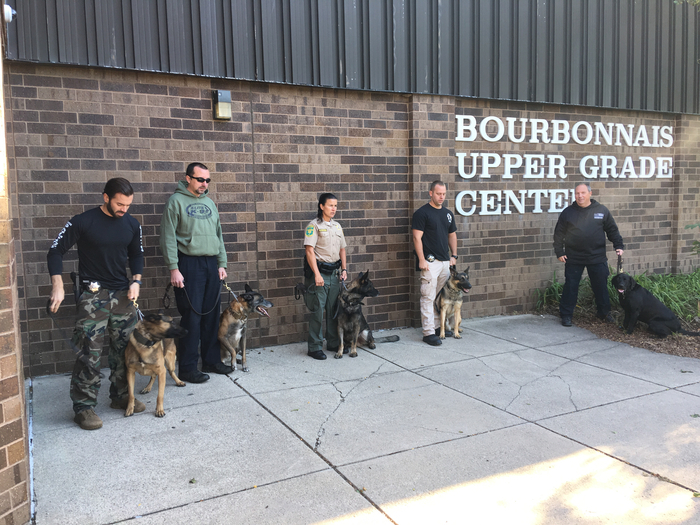 BUGC was certified as a drug free school today after a routine K-9 sweep! It was the 4th year and 14th consecutive drug free sweep! The Cub fans on staff will be wearing Cubs gear on Cub game days this month! We encourage our students to do the same. Our thoughts and prayers go out to everyone in Las Vegas, especially to the victims and their families. With the move to a new website, we also have a new mobile app for your smartphone. Please install it from the links at the bottom of our website. We are currently transitioning to our new website. During the transition, some links may not work. Everything should be live by Monday, October 2. Thanks for your patience!